A new Golf is 'ordered every 41 seconds' - VW's best-seller turns 45! The Golf, the most successful European car, turned 45-years-old. In March 1974, the Volkswagen factory in Wolfsburg officially started production of what would become its best-seller. Back then, nobody at Volkswagen had any idea that the successor to the legendary Beetle would end up selling more than 35-million units all over the world – and still selling to this day. 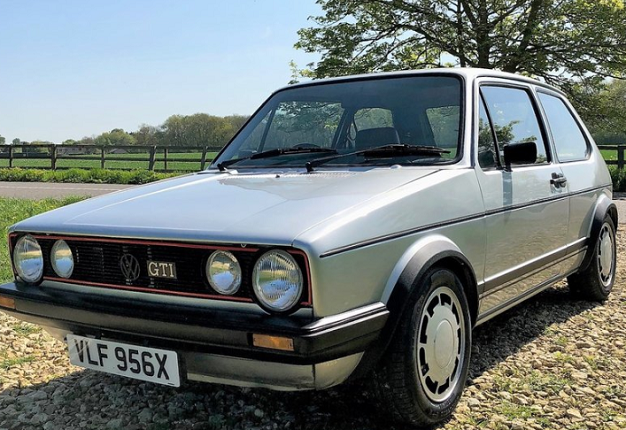 VW said: "In purely mathematical terms, a new Golf has been ordered somewhere in the world every 41 seconds, every day, without interruption, since the start of production 45 years ago. That is an average of around 780 000 vehicles per year." Ralf Brandstätter, Chief Operating Officer of Volkswagen: "The Golf is at the very heart of our brand. It stands for progress and technology like no other car. For example, the Golf made safety technology affordable for millions of people for the first time. Thanks to this, it made its mark on an entire generation." Brandstätter went on to emphasise: "For seven generations, the Golf has made a contribution to the development of Volkswagen as a brand and as a group – into one of the most important automotive producers in the world." Dr. Stefan Loth, Plant Manager at Volkswagen in Wolfsburg: "In 1974, our employees were facing the challenge of switching from the Beetle to the Golf. Since then, we have consistently continued to develop our main plant and today, in addition to the Golf, we produce the e-Golf, the Golf GTE, the Golf Sportsvan, and three additional models here in Wolfsburg." As one of the compact models on the global market that most defies classification, the Golf is set to remain a key product pillar of the Volkswagen brand. Ivan and Zoran are brothers from rural Swabia. They're auto-mechanics with a passion for restoring junked cars as high-priced vintage beauties. The Opel Olympia was a technological trend-setter back in the 1930s. It made Opel the first German carmaker to build 100,000 models a year. Its exterior hides a modern chassis and engine.